Creative Lettering and Beyond combines the artistic talents and inspirational tips and tutorials of four professional hand letterers and calligraphers for a dynamic and interactive learning experience. After a brief introduction to basic tools and materials, artists and lettering enthusiasts will learn how to master the art of hand lettering and typography through engaging, easy-to-follow, step-by-step projects, prompts and creative exercises. From the basic shape and form of letters, to cursive script, spacing and alignment, artists will discover how to transform simple words, phrases and quotes into beautiful works of lettered art. Numerous practice pages and interactive prompts throughout the book invite readers to put their newfound lettering skills to use, as well as work out their artistic ideas. 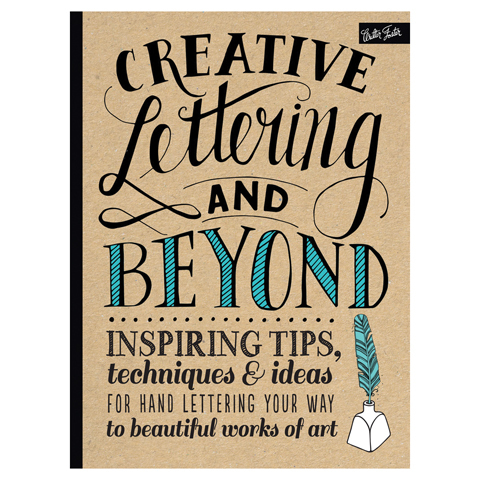 With comprehensive instruction and fun, inspirational exercises and projects, Creative Lettering and Beyond is a must-have resource for anyone who wants to learn this beautiful and stylish art form.